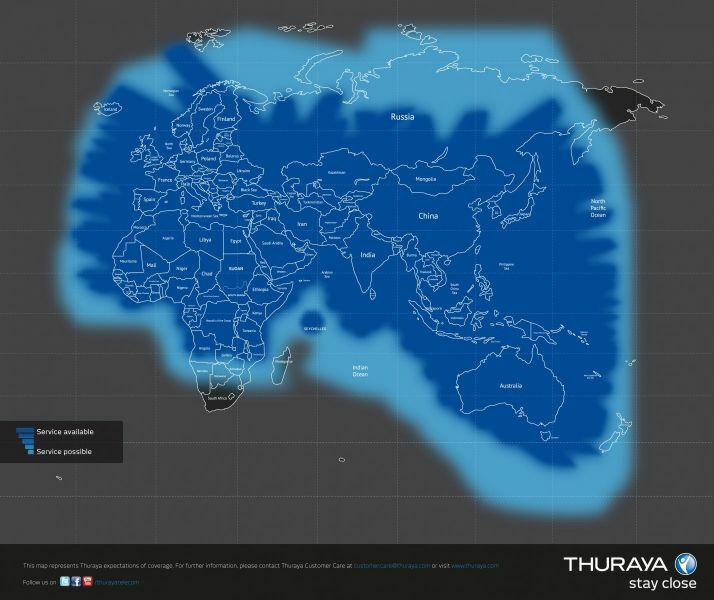 The arrival of the Thuraya XT PRO is a milestone in the mobile satellite communications. The rugged design of the Thuraya XT PRO and durable construction make it the world’s toughest satellite terminal. You can also boast the battery last longer. *Remember that you need a Plan for the service, choose a Plan in”Airtime” and then choose a “Thuraya Plans”. Telecommunications company Thuraya has launched the new Thuraya XT-Pro satellite phone making improvements over its predecessor the Thuraya XT. It has a talk time of up to nine hours, which is the largest for any satellite phone. It is resistant to splashes of water, dust and bumps, ensuring that it stays in the most complex environments. Its Gorilla (R) hard glass display is the widest available on a satellite phone and is designed to withstand glare resistance, allowing optimal visual capability in bright sunlight. In case of emergency, Thuraya XT-PRO also has a specific SOS button with advanced tracking and tracing features for added security. Aimed at professional users from the full range of market sectors, including government, energy, media and NGOs. Thuraya XT-PRO is the only satellite phone with integrated BeiDou and Glonass GPS systems for superior accuracy and added security in each region.